How wonderful! 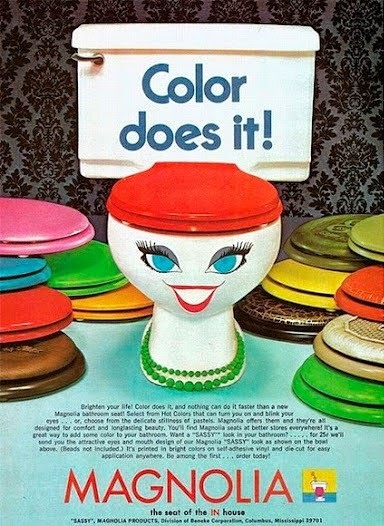 Look at those amazing colors of replacement toilet seats. This advertisement is from 1970 for the Magnolia brand. Which of all places... was based in Mississippi! Where I bet they sold oodles of that bright pink seat!